No more cold hands! No matter how frosty the temperature, men's gloves keep hands warm. Whether hiking, skiing or in everyday life, gloves for men leave keep the icy air out. Men's gloves are the ideal companion in cold weather, because who wants to go on the next outdoor adventure with frozen hands? What do men's gloves need? High quality gloves for men must master one thing: warmth. But for outdoor and winter sports enthusiasts, men's gloves need to do more. Firstly, no moisture should be able to penetrate into the interior of men's gloves. Water-repellent outer materials ensure that the moisture is kept out and the men's gloves keep their warmth. Men's gloves for outdoor use should also be robust and durable. Finally, the gloves for men should also last for a while. Which gloves are the right ones? First you have to decide whether you need mittens or gloves. Gloves have the advantage of being able to move fingers separately. Men's gloves allow a precise grip which is often useful. The advantage of mittens is that a warm air chamber forms between the hand and the men's gloves. In addition, the fingers sit next to each other in these men's gloves so they keep each other warm. For winter sports activities such as ski touring, ski gloves are of course recommended. These men's gloves feature water-resistant exterior materials, which ensures that moisture and snow cannot penetrate into the interior of the glove so that thermal output isn't affected. In addition, these men's gloves feature grippy palms. This enables a non-slip grip on the ski poles. When it comes to really icy climes with extremely cold temperatures, you need expedition gloves. 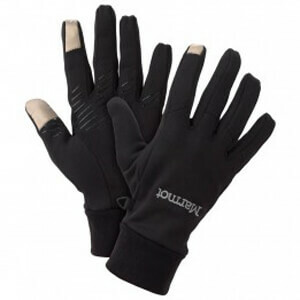 These gloves for men are particularly well insulated and well adapted to low temperatures. Of course there are numerous other men's gloves as the leather gloves, fingerless gloves or alpine gloves. They are all characterized by one thing, namely their thermal performance. No matter which gloves for men you choose, cold hands definitely belong in the past!